I am frequently asked if it’s ok health-wise to drink coffee. My answer: it depends. Many of us rely on caffeine, and some people can’t even start the day without it. 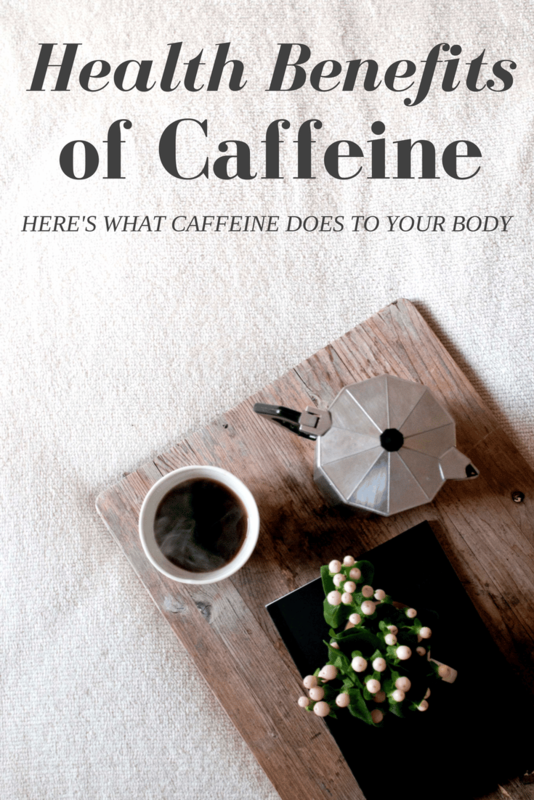 Read my latest post to find out what the health benefits of caffeine really are. While I can do without my daily coffee in a pinch, I’m a much happy person once I have my whole milk latte in hand. Caffeine is found in coffee, tea, soft drinks, energy drinks, chocolate, and some medications. The health impact of caffeine is a hotly debated topic. Advocates tout its brain-boosting capability and positive impact on chronic diseases, while critics warn of side effects including increased heart rate and insomnia. But which side is correct? Decreased risk of type 2 diabetes. Over two dozen studies have linked coffee consumption to lower risk of developing type 2 diabetes. Both regular and decaf coffee showed similar effects, however, there was a stronger relationship between caffeinated coffee and lower risk of diabetes. For me, I’ll be sticking with my daily latte habit (whole milk only please!) to get the caffeine benefits. Tell me: are you a caffeine lover, or do you avoid it? This post originally appeared on the Luvo Blog.